Here you can download some articles in English about Babaji's Kriya Yoga, Tantra and the 18 Siddhas. 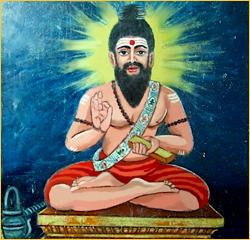 If you want to start the practice of Babaji's Kriya Yoga you can read this: Beginnning Babaji’s Kriya Yoga. For more information about initiations in Babaji's Kriya Yoga in English email me at: info@kriyayogadebabaji.net. You can also read and download more articles about the teachings of Jesus and Yoga in the web Yoga and Christianity. - Yogic teachings of Jesus - a text that compares the mystical teachings of Jesus with essential texts from the yogic tradition of the Siddhas from India. The wisdom of the Siddhas, the masters of Yoga, allows us to reencounter Jesus’ direct and radical message, a message that still moves us, even after two thousand years. Ebook available in Amazon. - Recovering the Self - This work describes the origin of this Kriya Yoga path and explains in an easy and interesting way its many different aspects and benefits. It also analyzes the challenges that the student must face, grants understanding of them and proposes different useful suggestions to improve the yogic practice. If you are thinking about Initiation into Babaji’s Kriya Yoga, these texts will give you a general view of it, a useful introduction. If you are already initiated, they will support you and guide you in your practice. Ebook available in www.babajiskriyayoga.net and in Amazon. Enjoy your reading. Any comments or enquiries? Send an email to: info@kriyayogadebabaji.net .